I listened to this historically detailed and intimate personal portrait of Malcolm X over a month: while washing dishes and walking to and from subway stations. I never read the autobiography which has been the prescribed text on school curriculum about Malcolm X, and only encountered him as a historical figure in other nonfiction books, mostly for children, about the Civil Rights Movement. So it is that this is how I got to know the man and his many phases on the road to becoming the internationally influential personality. I learned much about the Nation of Islam (NOI,) and much about the inter-plays between him and other leaders of the civil rights movement — especially Bayard Rustin, whose story has just begun to surface as another major thread of the Movement. 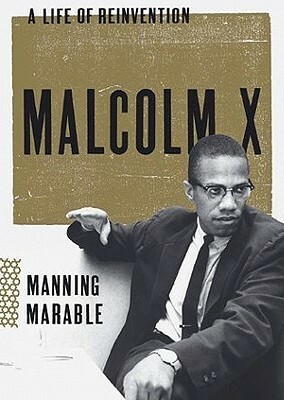 The book is full of painstakingly gathered details of Malcolm’s life — from his parents’ struggles before he was born, the family’s roles as Garveyites, Malcolm’s youthhood filled with brushes against the law and his inevitable imprisonment, his extreme attachment and final rebellion against the Nation of Islam and its doctrines, his many international trips to observe first hand the Orthodox Islam’s practices, and to his final days when he adopted Pan-Africanism and evolved into a much more open-minded commentator on social struggles: that the color of one’s skin does not necessarily dictate one’s political or social views and status. Marable’s words brought Malcolm to life and actor Thomas’ skillful reading of the narrative did the text justice, or perhaps even enhanced it. I really appreciated both for their art. In this no-frill biography, the touching devotion of Amelia’s husband comes through vividly. (I looked him up on the internet and found that he’s the grandson and namesake of the prominent American publisher, G.P. Putnam. It was not clearly stated in the book his relationship with this publishing company.) I appreciate that Fleming makes it quite clear how pig-headed and impulsive Amelia was. She’s a heroine whose lasting impact on women’s social status cannot be denied, but one that is real and full of personal histories and faults, not on a lofty pedestal. I am speechless and teary-eyed, reading and having finished reading this thrilling little biography of Christo and Jeanne Claude and of their art. Greenberg and Jordan did not disappoint — as always, their words are as vivacious and artistic as the artists they chronicle. One cannot help but being completely infected by the passion from all of those involved: the artists and the biographers. And to this one, since it is something I deeply experienced, with friends, students, and family, my emotional reaction is even stronger. Between me and my husband, we took about 500 photos — both under a bright blue sky and in the snow, with the gates winding around and the fabric flapping wildly in the wind. In fact, when it was time for my then-kindergarten daughter to do her “hundred day” project, she chose to draw a tree with branches and then glue 100 miniature pictures from our collection as leaves — a Fall Tree, as she called it, because these were orange leaves. The artwork is still hung next to my desk at work. The meticulous and artistic design of the book itself also echoes the free and playful spirit of Christo and Jeanne Claude. I applaud all who worked on this book! Thank you for a precious gift. And of course, my friend Monica Edinger had her class document the process on a web page. Go HERE to see! And here’s a link to many more Central Park Gates Pictures by searching google images of simple: Central Park Gates. I am profoundly moved by this picture book biography of an amazing artist. It’s partially because of my own belief in the power and importance of art in our world, but mostly, it’s because Deborah Kogan Ray’s candid text, capturing Wanda Gag’s spirit, and her oil paintings capturing Gag’s world and time. My eyes and heart were drawn to those little lighter/brighter outlines around some of the objects and figures in each painting. I don’t really know why, but they seem to be metaphorically significant: flashes of light (hope? human spirit?) peeking through even the darkest times. This is an outstanding biography, even for slightly older readers.